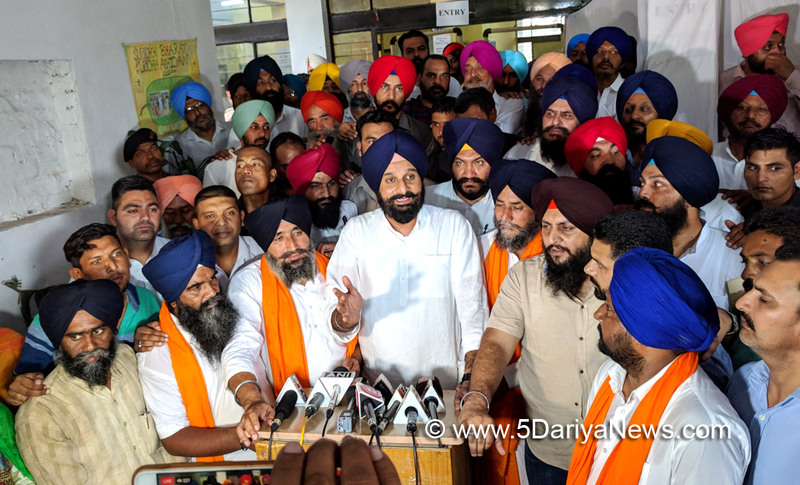 Former minister and secretary Shiromani Akali Dal (SAD) Bikram Singh Majithia today hailed the valour grit and determination of the dedicated party workers who withstood the threats and pressure of police, administration and local Congress goons in run up to the polls.Majithia thanking the Almighty for the one sided victory in his constituency Majitha said " 100 percent success in Zilla Parishad and 95 percent victory in block samiti was due to the valour of the voters and SAD workers who believed in "democracy" and stood there ground despite hostility and victimisation. Lauding the landslide victory in his high profile constituency Majitha warned the Congress not to murder the spirit of the people of Punjab.Despite hostile environment and complete breakdown of the poll process by Congress party, the people bravely fought the onslaught of the ruling party which was out to destroy the communal harmony for its narrow political gains. The SAD candidates fought under extreme hostile situations and still managed to win.The performance of the SAD candidates was laudable as they registered victories and put up brave fight all over the state. The credit for this goes not only to the candidates but to the party workers at grass root level.“Nothing deterred the Akali cadre, not even threats to them or their families and slapping of scores of false cases”, he added.Majithia slauted the voters of Majitha for creating electoral history by registering unprecedented victory by wresting all the Zila Parishad seats and 95 percent of block Samiti seats.Majithia advised the both the factions of AAP to adopt Sonia Gandhi and Rahul Gandhi as their leaders and join the Congress formally instead of remaining its B or C team. The SAD leader dubbed the APP as "traitors" of democracy and people who has only self serving agendas. The Congress and the AAP only disturb the communal harmony in the state.The party has lost its political relevance and become redundant in the State politics. Lambasting Congress for its brutal and callous approach to win polls at any cost, Majithia said the police threatened the SAD activists and workers, restrained them from campaigning and intimated them and actually registered cases to brow beat and paralyze their functioning but nothing worked.